do you have it in black? 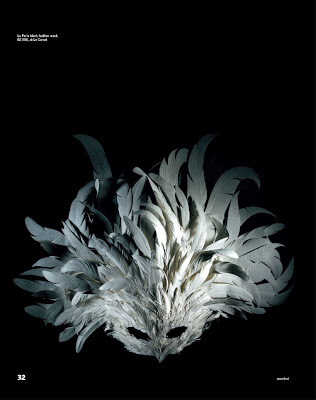 Hazel Buchan made a black feathered mask from La Perla out of white paper, it looks so realistic! Hazel even cut the title of the editorial out of paper to carry the theme through. 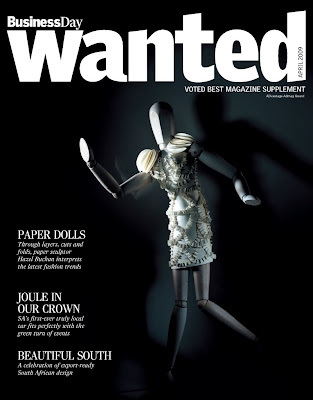 Black Coffee dress and shrug in white paper on the cover of Wanted. 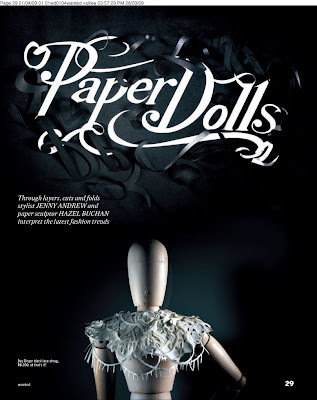 I worked with paper sculptor Hazel Buchan to interpret fashion as art to tie up with the Joburg Contemporary Art Fair which is on this weekend.